In the aftermath of the recent protests that have swept across Iran, over 4,000 people have been incarcerated and 25 have been killed by the police, and it is very likely the numbers will increase. Although the protests have been subdued for now, the country is in shock from the sudden wave of unrest. According to Bloomberg, the first demonstrations took place in Mashhad, a city in the north of Iran, over the high prices of necessities, but quickly developed into nationwide riots over issues far greater than high prices. Protesters expressed discontent with president Rouhani, a relative moderate in Iran’s government who had promised to improve Iran’s economy in his reelection bid (Bloomberg). The more traditionalist Supreme Leader Khameni and his political allies at first tried to use this to their advantage by slandering Rouhani, as there have been some disagreements between the two over foreign relations (especially regarding interactions with the West and the strict laws the Islamic Republic imposes on the people). However, this plan soon fell apart as protesters also manifested their anger at the Supreme Leader and the Islamic Republic. The Islamic Republic, which controls Iran, first came into power during the Islamic Revolution of 1979, when the Shah, then the ruling monarch of Iran, was overthrown. He embraced Western culture and the secularization of education, but his lavish displays of power and wealth made him unpopular with the people. The Islamic Republic’s filling of the power void came as a shock to many people, who suddenly had to live by strict Islamic laws and faced increasing tensions with the rest of the world, which led to both the Iran-Iraq war and the uneasy relationship between Iran and the U.S. Women, especially, faced many changes: every girl over the age of 7 had to wear a hijab (even those who did not believe in hijab), for example, and women were not allowed to drive without a hijab nor sing solo. These restrictions are still in place today, although many people in Iran and various activists, such as social media campaigner Masih Alinejad, are working to combat them. 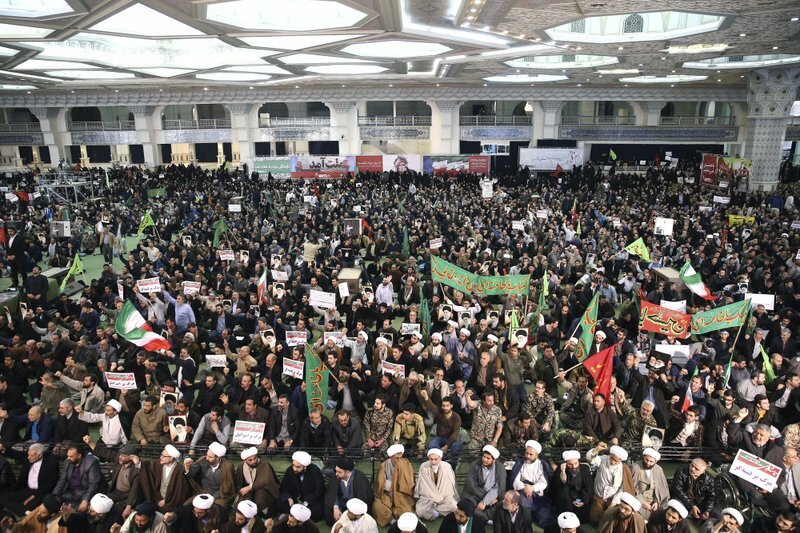 The recent protests, which expressed major discontent with the current regime, are in some ways a exemplification of the decades of anger at the oppressive Islamic Republic. The riots can also be seen as a continuation of (as they are the largest protests since) the Green Revolution of 2009, in which nationwide riots resulted in massive deaths by the police. These uprisings started over anger at the (probably) rigged election that resulted in President Ahmadinejad coming into power. Much like the recent protests, these uprisings expressed anger at the corruption of the regime but were eventually stifled through extreme police violence. But although the people were not actively rioting, there was still much anger, which eventually led to the recent events. The revolutionary spirit exploded through Iran, with hundreds of thousands of people taking to the streets in mainly nonviolent protests. The government, in response, blocked the country’s Internet until the protests stopped in order to hinder the people’s ability to meet up and receive information. Police violence was also utilized, with three people dead by New Year’s Eve. The government, to defend the actions of the police force, cited a law which states that all protesters must apply to the government for a protest permit. The protesters themselves, though, just wanted an end to the corruption of the government. Many Iranian people, unhappy with the strict Muslim government and isolation from the rest of the world, simply want a chance to connect with the wider world. Contrary to the beliefs of some, many Iranians want a cooperative relationship with the U.S. and celebrated the Iran deal as something that would invigorate Iran. President Trump tweeted in support of the protesters, saying that the world was watching Iran’s government and that the people were fighting against corruption. However, that did not stop the regime from violently putting an end to the protests. Many protesters wished that Trump would stay out of their fight, as he is so unpopular in Iran that his support could hurt their movement. For now, there are no more riots, but there is still a lot of anger and fear at the government, though both Rouhani and Khameni have surprisingly made statements acknowledging the protesters’ anger (Washington Post). Their actions show that they recognize the people of Iran will not be complicit in a nation of corruption, and although there is much to be improved upon, it shows that the protests are not simply meaningless displays of rage. It is possible that the government may revise its policies in response to the outbursts, as there have also been recent fluctuating statements regarding compulsory hijab. Even if the laws do not change, though, many Iranians, especially millennials, still have hope for a better future and the courage to raise their voices to try and obtain it.